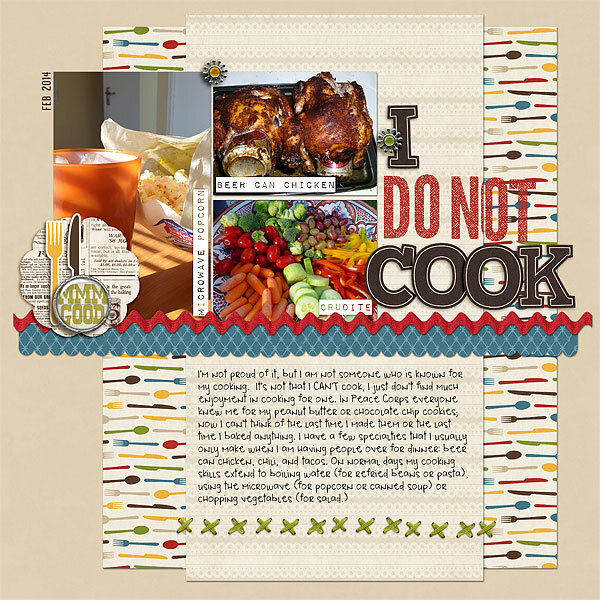 I am capable of cooking/following a recipe but usually I am uninspired too lazy to cook for myself. Plus I don’t like leftovers that much. For the layout I looked through my photos for photos of food and found these three that I think tell a pretty good story: there’s microwave popcorn, my favorite treat/meal substitution; beer can chicken, one of the few specialties I have and crudités that represents my ability to chop of vegetables for salad and also another “specialty” that I like to bring to fancy meals. Ha!